I’m in Louisville, Colorado these days (the week of Oct 17) and it’s been about a year since I visited here last time. 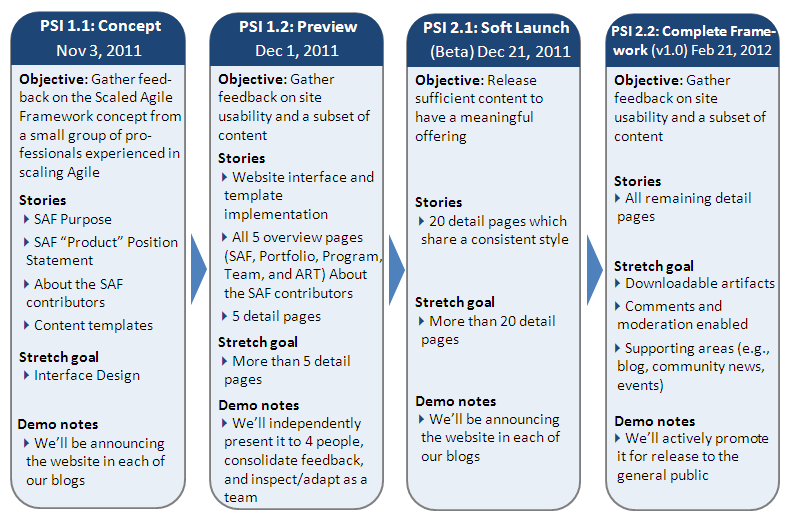 This time I have an absolutely exciting reason for visiting: the kick-off of the Scaled Agile Framework initiative. 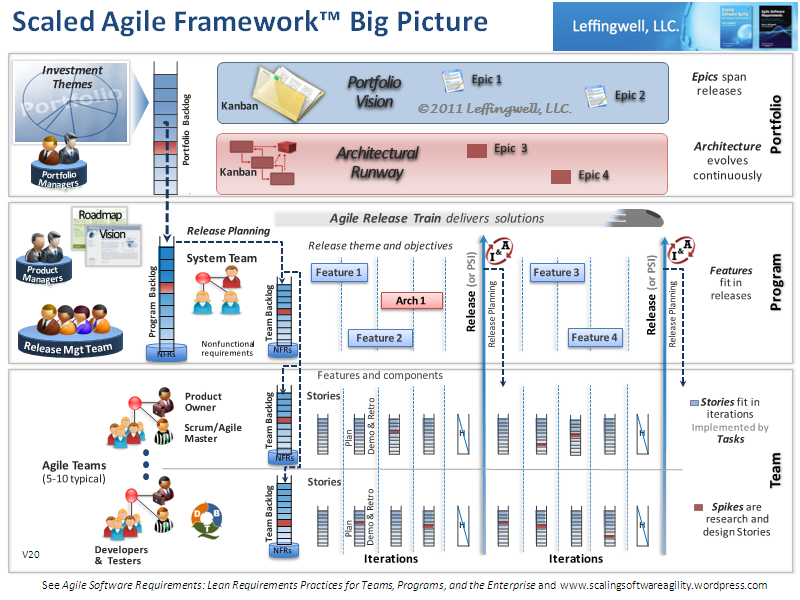 The five of us (Dean Leffingwell, Colin O’Neill, Drew Jemilo, Mauricio Zamora and myself) convene to commence the collaborative effort around creation of Scaled Agile Framework (SAF) – a structured representation of knowledge and practices for scaling Agile delivery model to the enterprise level. Dean Leffingwell hosts us at his house (hopefully we are good guests, but I will have to check that with Dean). SAF will be a freely available internet resource representing a big picture of Agile at scale and a detailed outline of its “components”: from individual agile team level to enterprise portfolio level, from agile requirements to technical practices, from agile architecture to continuous improvement and so on – in other words covering all important aspects of Agile delivery at scale. Even though this is our new initiative, the material that will be published isn’t some kind of a brand new stuff and frankly, the ASR book by Dean covers much more depth on the topics. 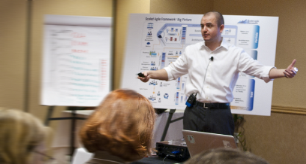 Nevertheless, the purpose of SAF is to present the well structured empirically proven knowledge to the industry – it will be publicly available and ready to be used by agile practitioners and consultants in different aspects of scaling. I’m thrilled with the idea that with SAF you will be finally able to use the "Big Picture" interactively and so, for instance, clicking on Inspect & Adapt (I&A) icon will redirect you to a web page that describes the technique. 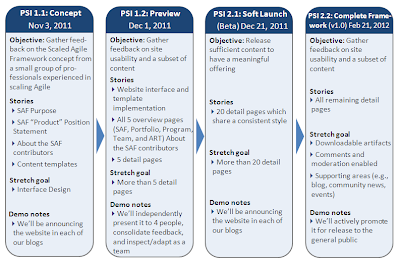 And same way it will work for “Agile Team”, “Epic”, “Demo”, “PSI”, “Agile Release Train” and so on and so forth. Basically 90% or more of the Big Picture objects will be navigable. 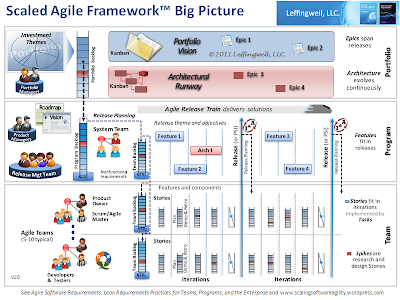 The website URL is http://www.scaledagileframework.net/. It is already there, you can browse thru the main aspects of SAF concept already that will be soon implemented in accordance with the roadmap. Our little “Sprint” in Colorado is gradually approaching its end and this is really good as most of the “meta-stories” are getting finished and it frees a way for content creation and publishing. Totally rough to reveal these invaluable web page or website. I have numerous gadgets and engaging in professional article of these labored admirably and vitality keeps on being seeing about this net post. You need to use this OOH ERP provider for any kind of advertising work.